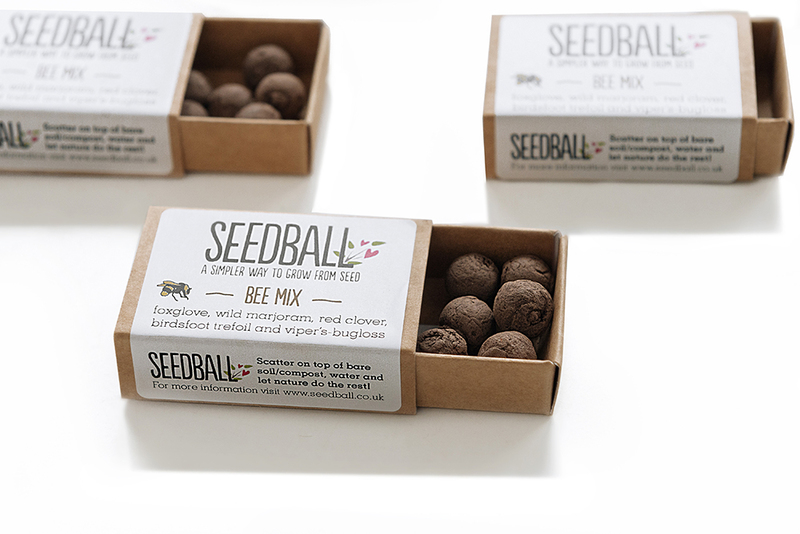 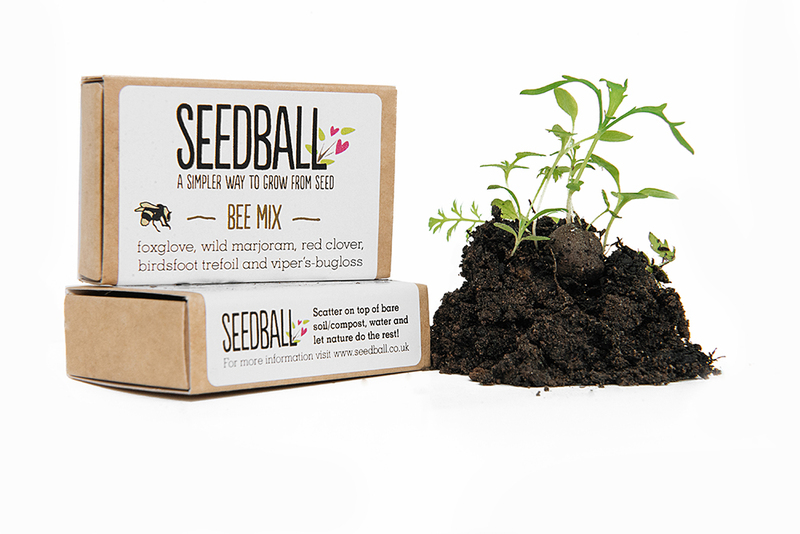 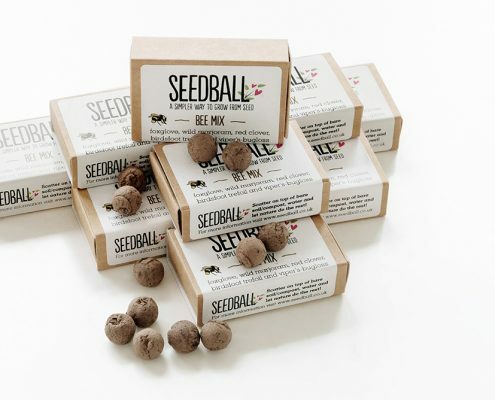 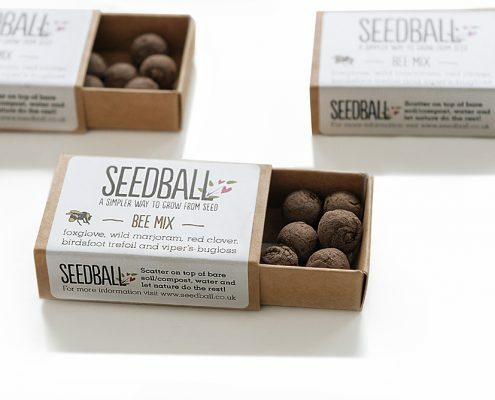 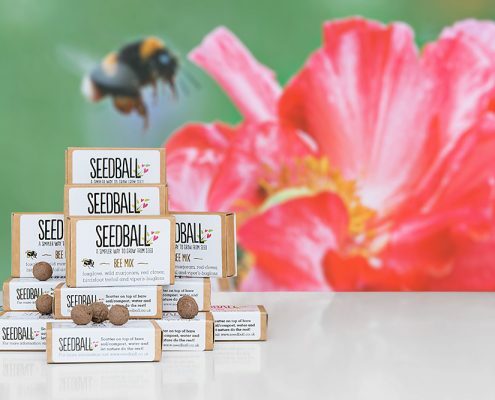 A ‘Seedball Matchbox’ – a super easy way to help the bees & butterflies while promoting your brand. 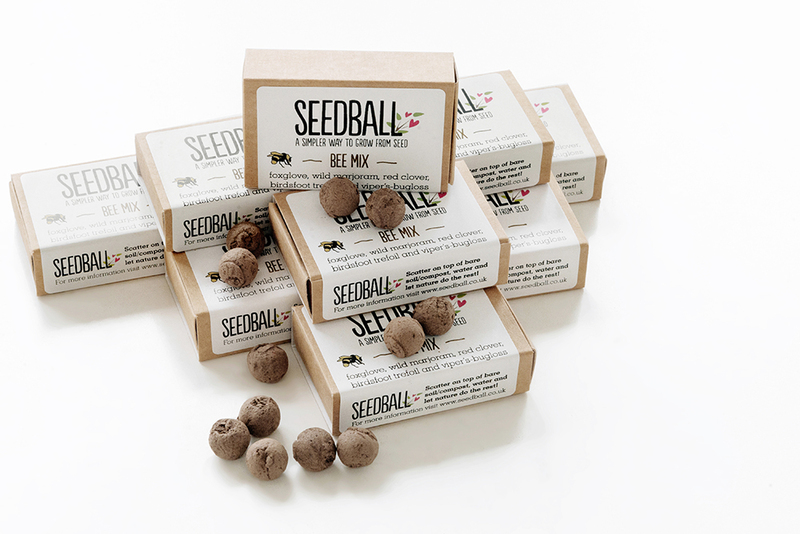 Each box contains six easy to grow wildflower seed balls – a unique innovation from social enterprise ‘Project Maya’ that naturally protects the wildflower seeds from predators within clay balls – no expertise needed, simply scatter on soil in a garden or pot and let nature do the rest. 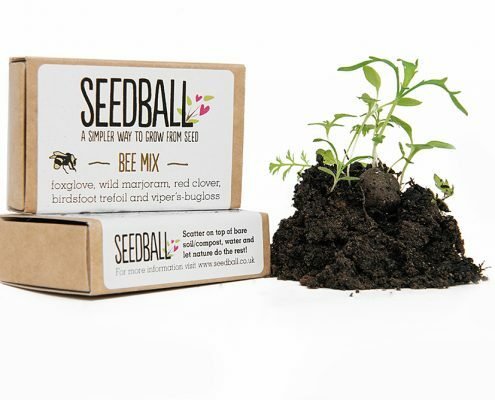 Choose from any of our Seedball wildflower mixes or create your own combination. 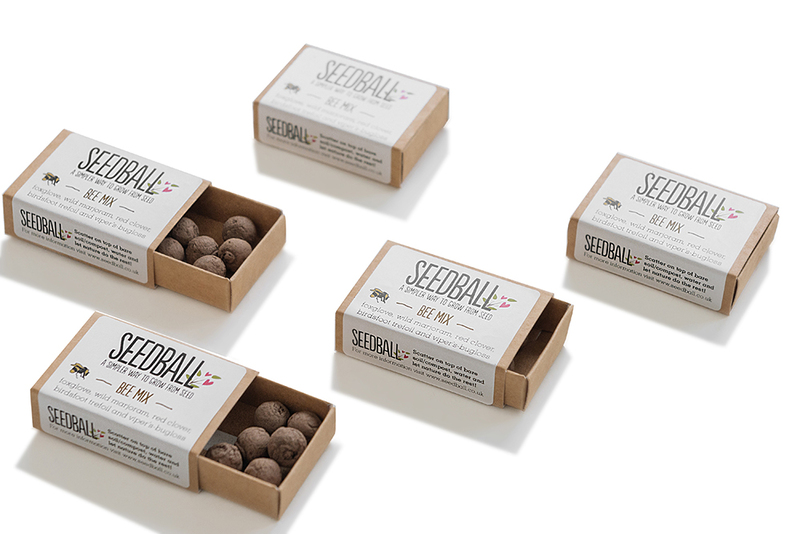 Fully brand-able 51 x 51mm label. 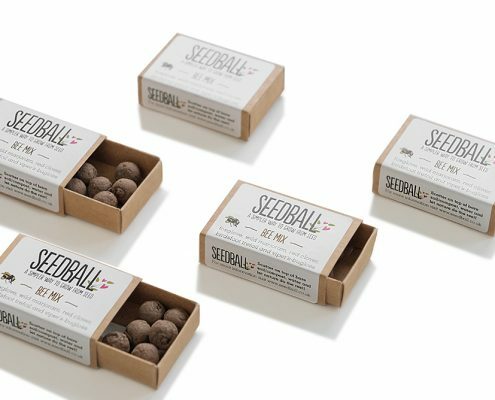 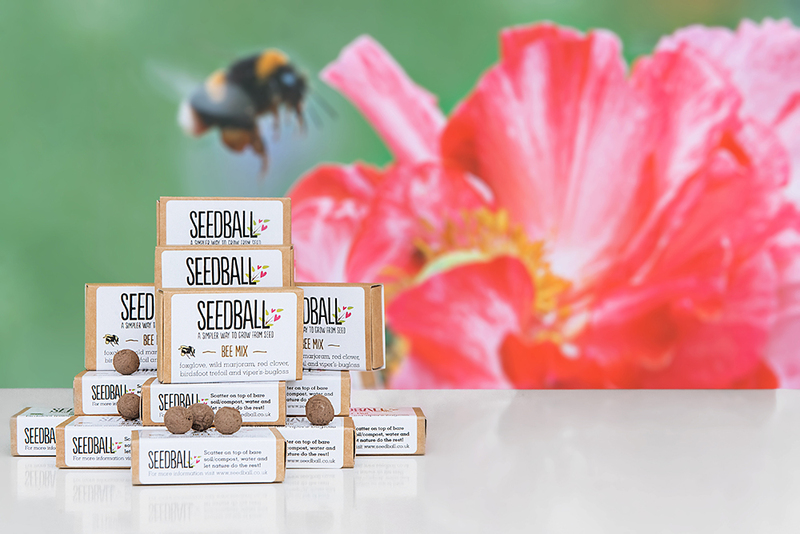 Seedball is currently sold in over 200 UK retailers, including the Royal Botanic Gardens Kew, Natural History Museum and the National Trust, and has one two industry awards (Gift of the Year 2017 in the eco-friendly category and Best New Gardening Growing Product at the 2017 Garden Retail Awards).